A Pontiac Firebird Comanche GT vehicle, Montréal, Québec. 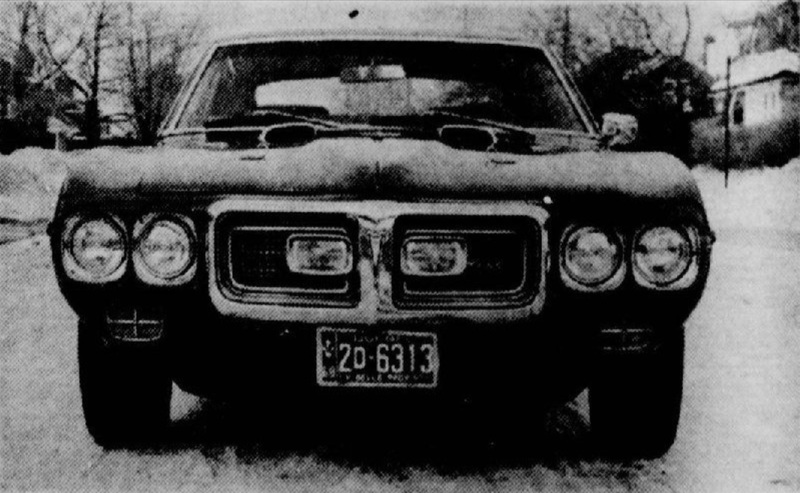 Anon., “La Comanche: une auto américaine améliorée par un Montréalais.” La Patrie, 9 February 1969, 12. Hello and… What is it, my reading friend? You seem unseasonably upset today. You do not like the fact that yours truly chose an automobile as a topic for this week’s issue of our blog / bulletin / thingee? Well, too bad, so sad, as a former colleague of mine at the Canada Aviation and Space Museum, in Ottawa, Ontario, sometimes said in such circumstances. Even though I am not all that interested in automobiles, the title of the 9 February 1969 article that came my way as I pored over the now defunct newspaper La Patrie, a weekly by then, could not be ignored. So, to quote Skipper, one of the main characters of the popular 2014 movie Penguins of Madagascar, who’s with me? I pinky swear that this article will be brief. What was / is a pony car, you ask, or a GT vehicle for that matter? Well, a GT, or Gran Turismo, vehicle was / is a high performance luxury-ish automobile that can be driven comfortably over long distances. A pony car, on the other hand, was / is a stylish, compact and affordable automobile with sporty performance – a GT vehicle for mid size budgets if I may be so bold. The Mustang was the first pony car to hit the market, hence the name given to this type of automobile, but back to our story. The aforementioned Hamilton, say I, conceived the idea of transforming a pony car he loved into a GT vehicle. This automobile was the Pontiac Firebird. Introduced in 1967 by the Pontiac Motor Division of American automobile giant GM, the Firebird was designed to do battle with the Mustang in the hearts and minds of North American consumers. Interestingly enough, Pontiac Motor’s management had originally wanted to produce a 2-seat sport car based on a concept vehicle called the Banshee. GM’s management vetoed the idea, concerned as it was that the sales of the Corvette, a very popular vehicle produced by the Chevrolet Motor Division of GM, would suffer. One could argue that permission to proceed with the Firebird was a consolation prize, dare I say a bone, offered to Pontiac Motor by its parent company. And yes, my faithful reading friend, GM and its Canadian division, GMC, were mentioned in March 2018, November 2018 and January 2019 issues of our blog / bulletin / thingee. Modified and improved time and again, the Firebird remained in production, in the United States, until 2003 or so. As much as he loved the Firebird, Hamilton thought that it could be improved. He and his mechanics sat down and came up with modifications and improvements that could be added to 1968 vehicles that already included some options. The vehicles ordered in 1969 included even more bells and whistles. All in all, the list of options was quite extensive: power disk brakes, heavy duty air cleaner, boosted engine, rally style gauges, door edge guards, heavy duty radiator, AM FM radio, remote control rearview mirror on the driver side, remote power trunk release, deluxe custom seatbelts, luxurious seats, variable power steering, and tilting steering wheel. The modifications and improvements added by Hamilton’s team, some of them in 1968 and more in 1969, were also quite numerous: new air cleaner, Comanche badges, high speed driving lights, custom leather interior, adjustable shock absorbers, special paint scheme, new suspension, new transmission, and power windows. Other modifications were optional: special high speed driving lights, chrome die cast Comanche emblems, special engine, aerodynamic chromed hood inserts, fog lamps, hood pins, racing tires, special rear paint scheme and front fender striping. The end result of all this work was a dream car, a true GT vehicle, that Hamilton christened the Firebird Comanche. A well known and respected automobile journalist base on Montréal drove a Firebird Comanche in late 1968 or early 1969. Jacques Duval, a gentleman mentioned in an August 2018 issue of our blog / bulletin / thingee, was quite impressed. The Firebird Comanche caused quite a stir in the relatively small sport car enthusiast community of Canada. Getting one was not very easy, however. The Firebird Comanche was available in only 3 places on this Earth: its birthplace, Grant Hamilton Pontiac Buick, as well as City Buick Pontiac-GMC Limited, in North York / Toronto, Ontario, and Surgenor Motors Limited, in Ottawa, Ontario. Worse still, Hamilton’s small team was the only one involved in the conversion work. It needed a full week to take care of each of the specially ordered vehicles. Interestingly enough, Hamilton seemingly managed to convince GMC not to supply Firebirds to other dealerships interested in performing a similar conversion. Would you believe that Surgenor Motors was / is located between the Canada Aviation and Space Museum and a sister / brother institution, the Canada Science and Technology Museum, on one of the main thoroughfares of Ottawa? Small world, isn’t it? And yes, City Buick Pontiac-GMC was also still in business as of early 2019. Sadly, Hamilton died in June 1991, at an early age. In turn, Grant Hamilton Pontiac Buick officially ceased to exist in December 1980. The exact number of Firebird Comanches converted is unfortunately unknown. Thirteen came out in 1968, with an additional 30 or so in 1969. The tooling and engineering problems which delayed the introduction of a brand new 1970 edition of the Firebird until February 1970, a good 5 months later than planned, may have played a role in limiting the number of Firebird Comanches delivered by Hamilton’s team. You may be pleased to hear (read? ), or not, that Hamilton’s team converted 2 Pontiac Tempest compact automobiles into quasi GT vehicles, known as Tempest Avengers, around 1970. The introduction of a similar vehicle, the GT-37, by Pontiac Motor, in 1971, convinced him there was no point in pursuing that project. In case you wondered where yours truly found the title of this article, I am pleased to report that was inspired by a line in a classic 1897 French song, Frou-Frou, whose lyrics were written by Henri Marie Gabriel Blondeau and Joseph Marie Ylpize Rieunier. The latter was better known as… Hector Monréal. I did not know that detail when I chose the title of this article. Small world, isn’t it? Be well, my reading friend, and drive safely.